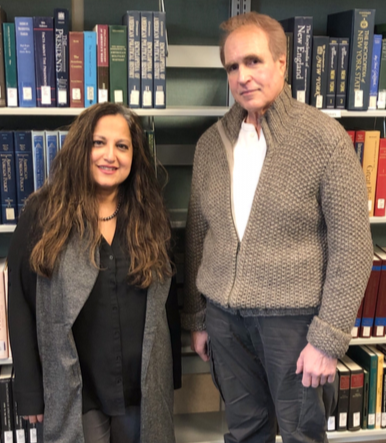 Dr. Shareen Rasheed and Dr. Joseph M. Piro have been appointed the co-directors of the doctoral program in interdisciplinary educational studies. Dr. Shaireen Rasheed and Dr. Joseph M. Piro, co-directors of the doctoral program in interdisciplinary studies. Rasheed and Piro replaced Dr. Red Owl and Dr. Paula Lester as the directors of the program in fall 2018. The program is for students pursuing an Ed.D. in the College of Education, Information and Technology. 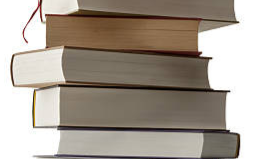 The research-based graduate program is offered on campus as well as at satellite campuses in Brooklyn and Hudson. The program attracts students from various backgrounds interested in pursuing a doctoral degree with the intention of gaining a leadership position in public or private schools. The program also helps those who would like to enter a variety of other fields, such as health & science education, business, and technology. There are approximately 70-80 students in the program. The program began, Piro said, in 2009 and has a robust student body doing innovative and cutting edge research. “The program just celebrated its 10th anniversary since its 2009 beginning. It operates on a cohort model where doctoral students from the metropolitan area work together in a cohort or group model. Students from a variety of fields bring their backgrounds, perspectives, and experiences to the program resulting in as dynamic blend of ideas and approaches which are then applied to issues such as teaching and learning, and school reform,” Piro said. Piro is a professor of education in the College of Education, Information and Technology. He previously taught and was an administrator in the New York City Public Schools. He earned his Ph.D. from Columbia University, where his dissertation was focused on cerebral asymmetries for music perception in gifted adolescents. He earned a B.A. from St. Francis College, an M.A. from City University of New York, Queens College, and an M.S. from Fordham University. Dr. Piro and Dr. Rasheed are excited to co-direct the doctoral program together. Piro’s research interests include psychology of giftedness and special ability. Piro is also interested in topics that involve brain and behavior, music perception, and sleep and cognition. 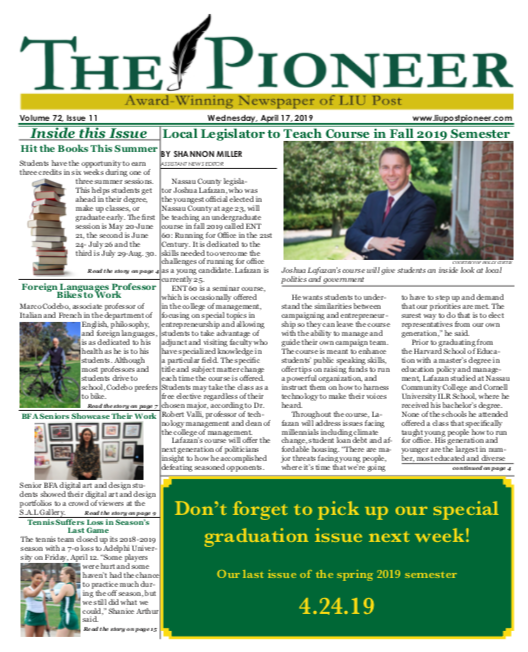 His articles have appeared in numerous research journals and his book, “The Primacy of PISA: The World’s Most Important Test and how it is Changing Education Across the Globe,” will be published in 2019. Piro has received three Fulbright grants for his research projects in the Middle East, India, and the European Union. Rasheed is also a professor of education in the College of Education, Information, and Technology. Rasheed earned her B.A. from the State University of New York at Stony Brook, her M.A. in Philosophy from the New School for Social Research, and an M.Phil. and Ph.D. in Philosophy from Columbia University. She is on sabbatical this semester as a visiting scholar in the philosophy department at Columbia University, working on research on the role of right wing populism and race. She is also currently a visiting lecturer at the University of Lisbon in Portugal and is the recipient of a second Fulbright to Pakistan. Rasheed was a Fulbright visiting Professor at the University of Salzburg during the 2017-2018 academic year. Rasheed is excited about her new role and the opportunity to align the doctoral program with the demands of a changing time in higher education. Rasheed hopes to make the program competitive during her tenure as co-director, attracting the best and the brightest students nationally and internationally.